"In November 2009 I was asked by Robbie Krieger to take part in a benefit for the Pat Tillman Foundation at the Canyon Club in California. 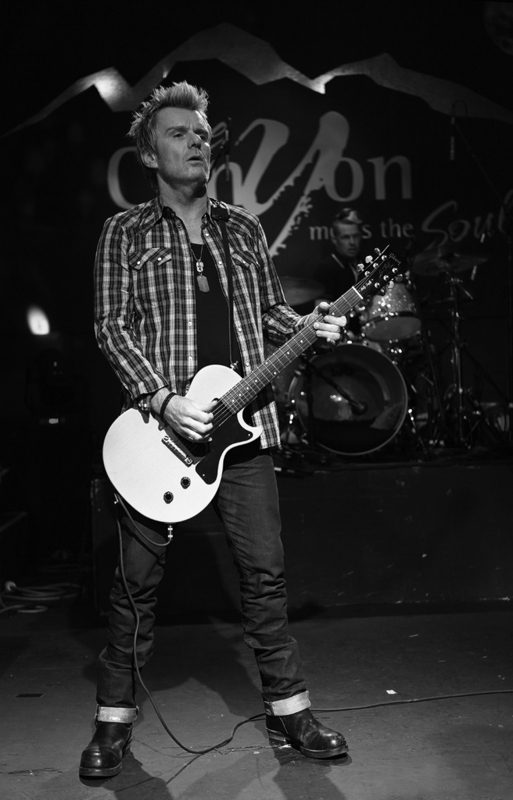 I'm pictured here onstage here with No Doubt's drummer Adrian Young and that's my Gibson Custom Shop “59” Les Paul TV Junior. It was made for me when I played a gig in Nashville with some of the Camp Freddy guys back in the mid 2000s... it's a great guitar."